Biological models typically depend on many parameters. Assigning suitable values to such parameters enables model individualisation. In our clinical setting, this means finding a model for a given patient. Parameter values cannot be assigned arbitrarily, since inter-dependency constraints among them are not modelled and ignoring such constraints leads to biologically meaningless model behaviours. Classical parameter identification or estimation techniques are typically not applicable due to scarcity of clinical measurements and the huge size of parameter space. Recently, we have proposed a statistical algorithm that finds (almost) all biologically meaningful parameter values. Unfortunately, such algorithm is computationally extremely intensive, taking up to months of sequential computation. In this paper we propose a parallel algorithm designed as to be effectively executed on an arbitrary large cluster of multi-core heterogenous machines. 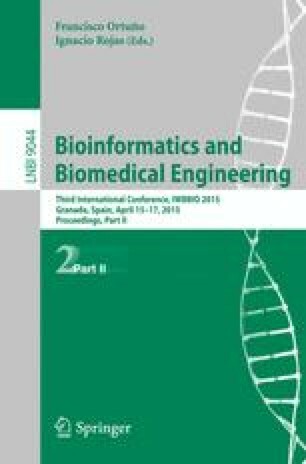 This work has been partially supported by the EC FP7 project PAEON (Model Driven Computation of Treatments for Infertility Related Endocrinological Diseases, 600773).